Returning to the theme of London, viewed through the lens of Hawksmoor's six churches, but stepping aside from Revit for a moment and using photographs I have taken over the past few years, rediscovering the city that I lived in for 4 years as a student some 4 decades ago. This post is dedicated to Caroline Lwin who I knew in those far off days of youthful discovery. I spent several weeks staying with her and Nick in Limehouse to help out with the Squatting Book they were putting together in 1980. This in itself was something of a rediscovery as we had gone our separate ways around 1973 when I moved back north. It was great to become close again, just as it was wonderful to spend a couple of hours with Caroline last December, not long before she floated out of this world, as graceful as ever, still questioning the world around her. Nick now lives with Jane in Hastings and it has been a great pleasure to spend some quality time with them over the last 2 or 3 years. Wonderful hosts, living in a fascinating town. Jane worked at the De la Warr pavilion during its refurbishment period and laid on a fantastic behind-the-scenes tour for me back in July. More on that in future posts when I get time to "finish" the Revit model of Mendelsohn's seaside classic. Here is the house where we did the Squatting Book. 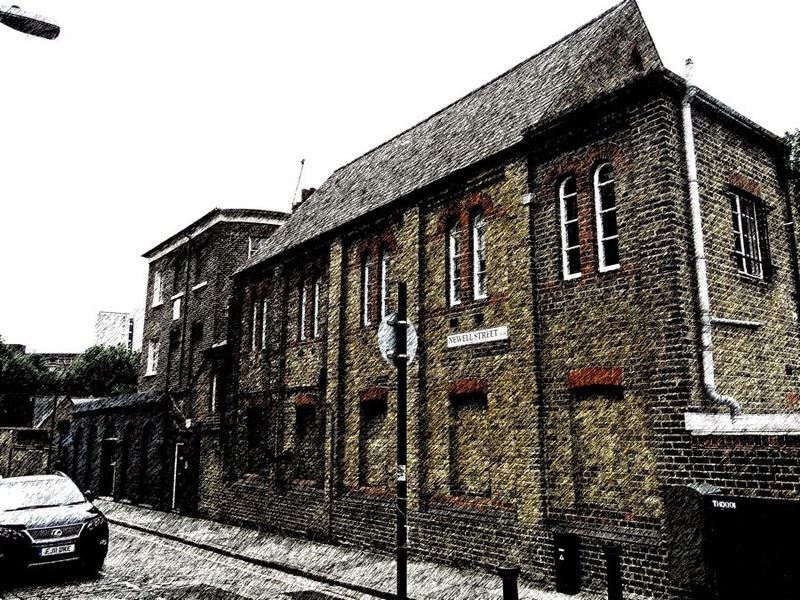 It's an old seaman's mission built next to the Limehouse Cut, a canal linking the river lea to the river thames, cutting out a long detour around the isle of dogs. 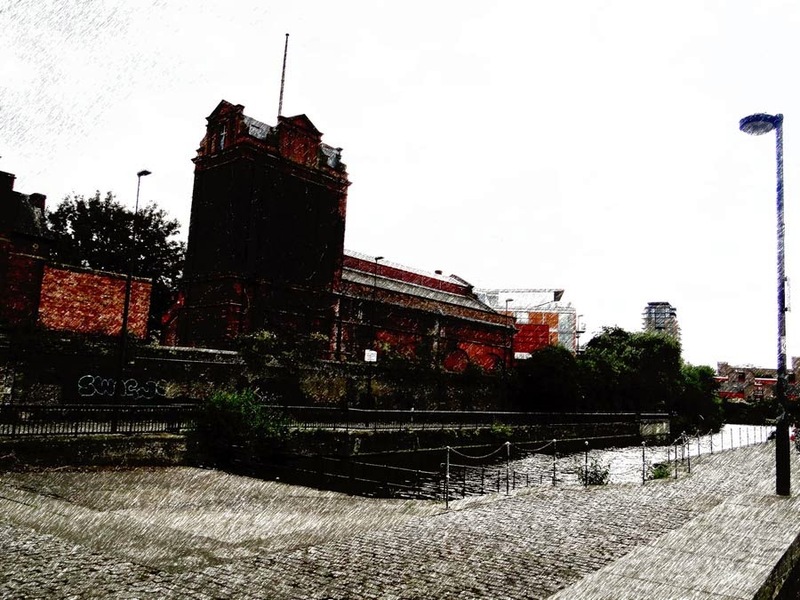 This was built a little before the Regent's Canal and the Limehouse Basin which connected with the cut to form a primary hub linking the canal system with the wharves of the Thames. 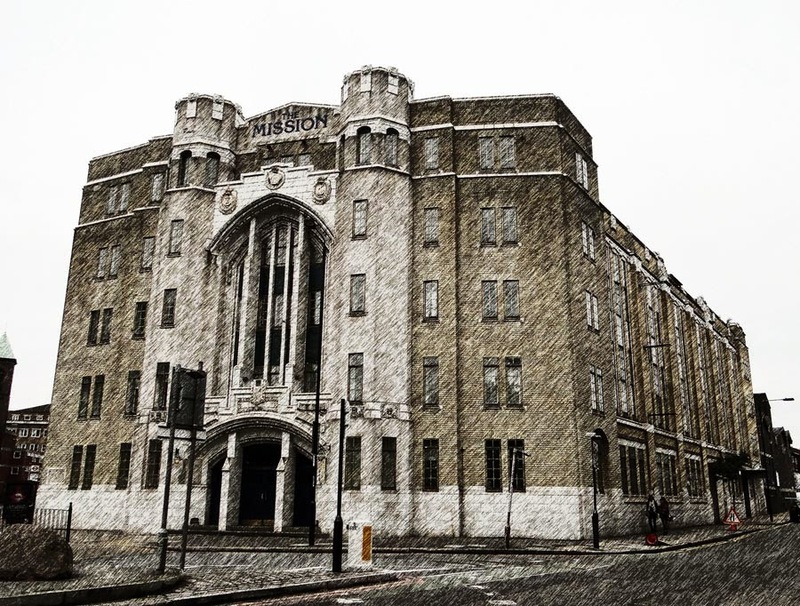 And that was the new mission house, built on the other side of the Commercial Road which became the main artery out to London's Docklands which sprang up in rapid succession in the early 1800s. It's an odd building, kind of a stripped down gothic, in dingy yellow brick and pale grey faience tile. What can it have been like, having spent your life roaming the seven seas, to eke out your final years in a place like this? 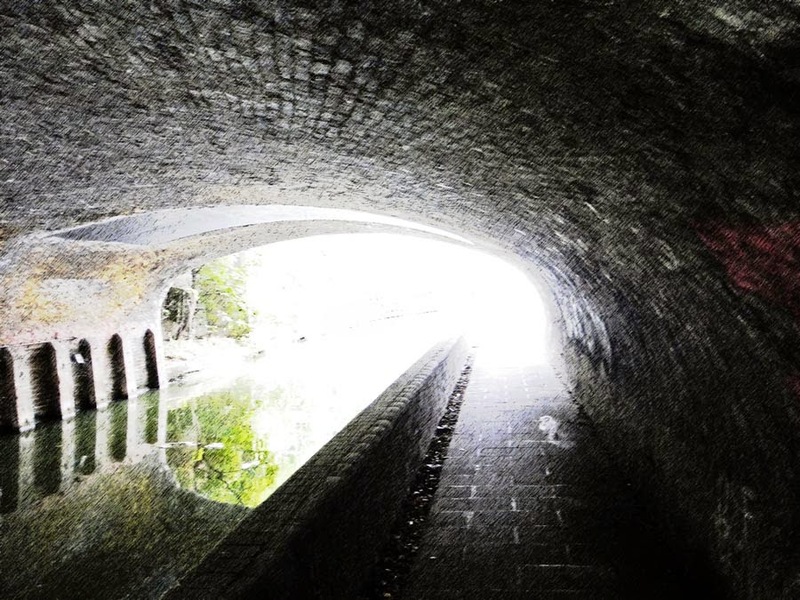 There is a bridge that carries the Commercial Road over the Limheouse Cut, a fine example of victorian brickwork sweeping over the canal in an elliptical barrel vault. No ponies on the tow-path these days, just cyclists and joggers. 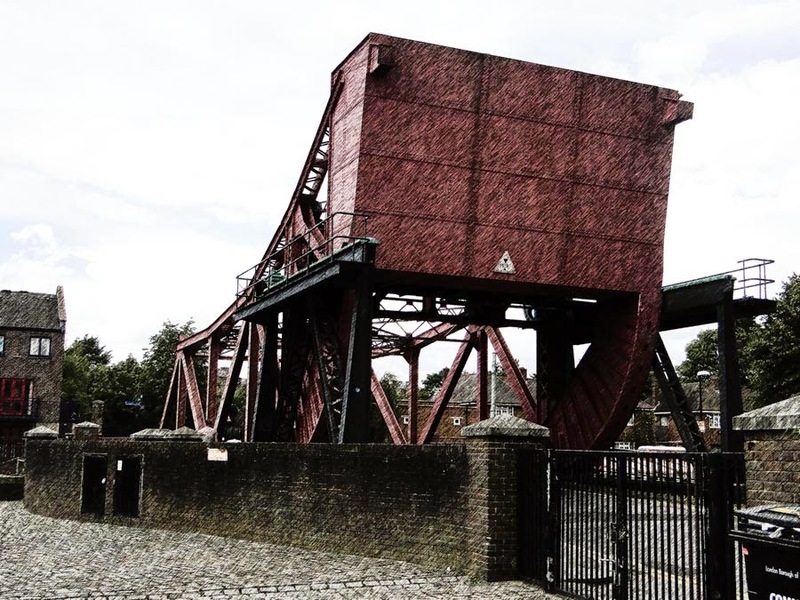 Water wheels and canals were critical to the early stages of the industrial revolution, but quickly gave way to steam power as the demands for power and transport grew too rapidly to be met by sustainable means. So the canal building period came and went in the blink of a metaphorical eye, rather like the 5 1/4 inch floppy disks that I used to carry around with me with their massive 350k storage capacity. I seem to remember an AutoCAD installation set comprising a full box of floppies. That would be almost 25 years ago. 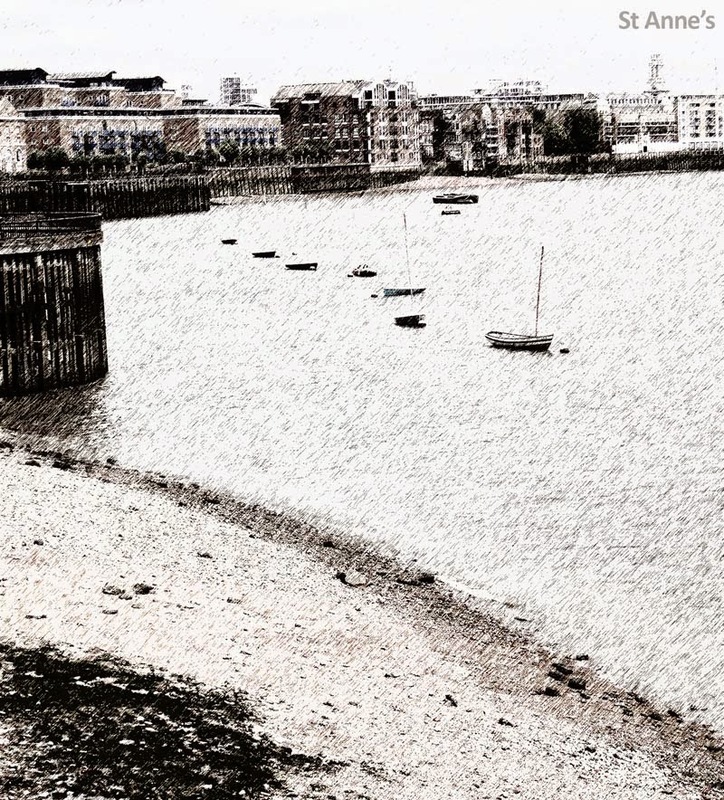 Today Limehouse is a fascinating, mixed community. Still home to many genuine "east enders" living in old terraces or newer council estates, it also boasts a growing proportion of upwardly mobile professionals who have moved in to waterside developments conveniently positioned both for the old financial centre in the City, and the new one around Canary Wharf. 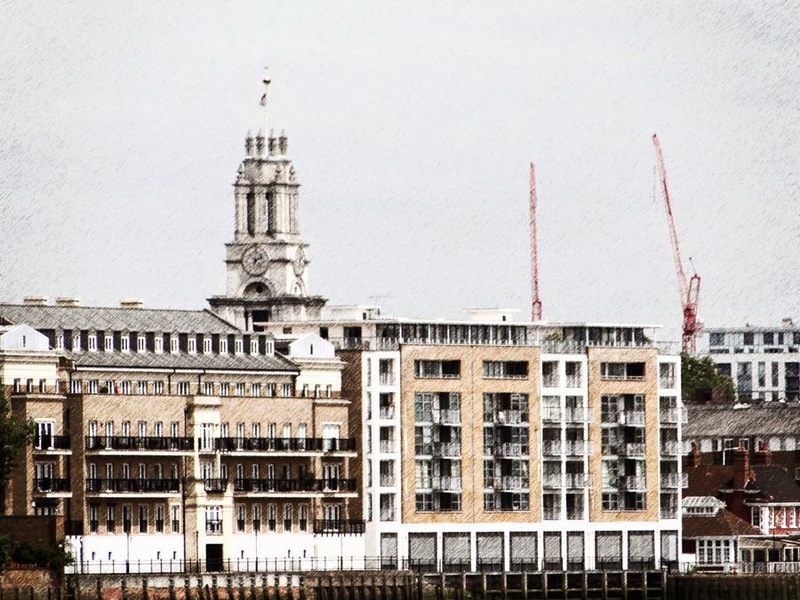 In the image above, St Anne's Limehouse floats above new riversite apartments. Notice the old dockside cranes, now acting as monumental pieces of urban sculpture. This shot is a little further to the right, from the same vantage point. 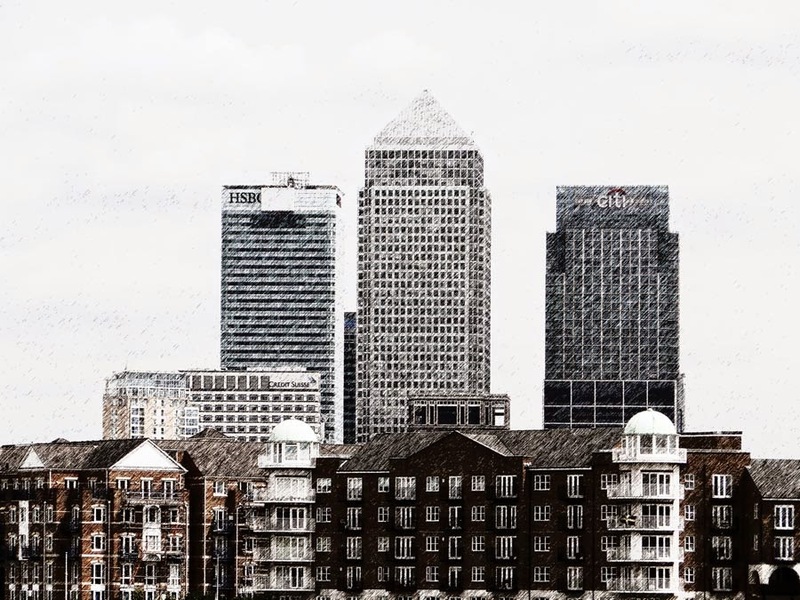 Investment banking now dominates the skyline of London, where once the church steeples of Wren and others rose alone above the rooftops. 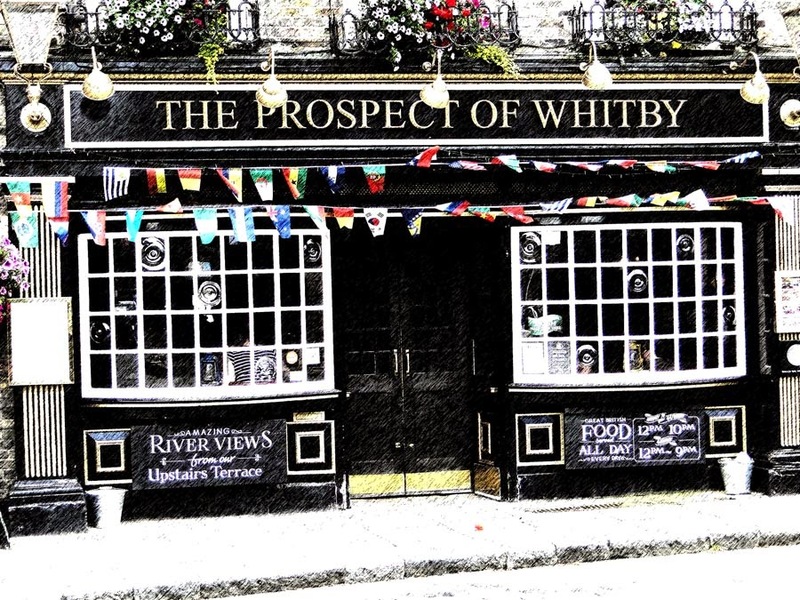 Those shots were taken from the balconies at the back of the Prospect of Whitby. Tom and I had lunch there on Wimbledon finals day. It's another little trip back in time, much like the Grapes in Limehouse, but the Prospect is a little further upstream near the Shadwell Basin. This shoreline shot shows the riverbank at low tide with the steeple of St Anne's in the background. In Hawksmoor's day their would have been a lot more boats and activity. At the entry to Shadwell Basin there is a counterbalanced swing bridge (there's another one of the same design opposite the Prospect on the south bank also) This probably dates from the Victorian era. I include this here because it is so evocative of the industrial revolution which crept up on England in the decades following Hawksmoor's death. This shot of a large engine house next to the Shadwell Basin also captures the industrial era, with just a hint of the modern intrusions in the background. This one is not mine. I plucked it from the internet. 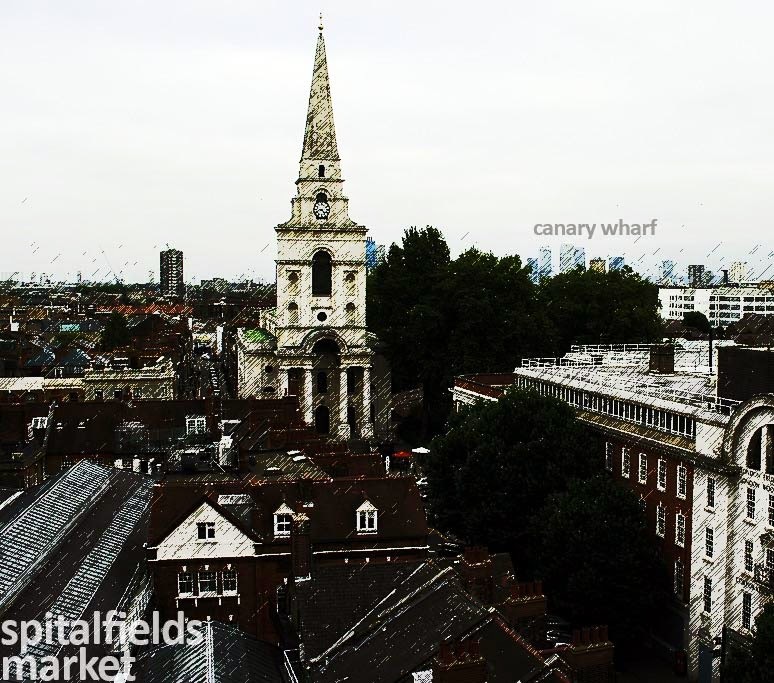 I like it because it shows the glazed roof over spitalfields market in the foreground, the post-modern towers of canary wharf in the background and Hawksmoor's spire centre stage. Back to my own photos and the interior of the market. In Hawksmoor's day the market was a large open square and the recently built streets around were home to Huguenot silk weavers who had come over en masse from France. 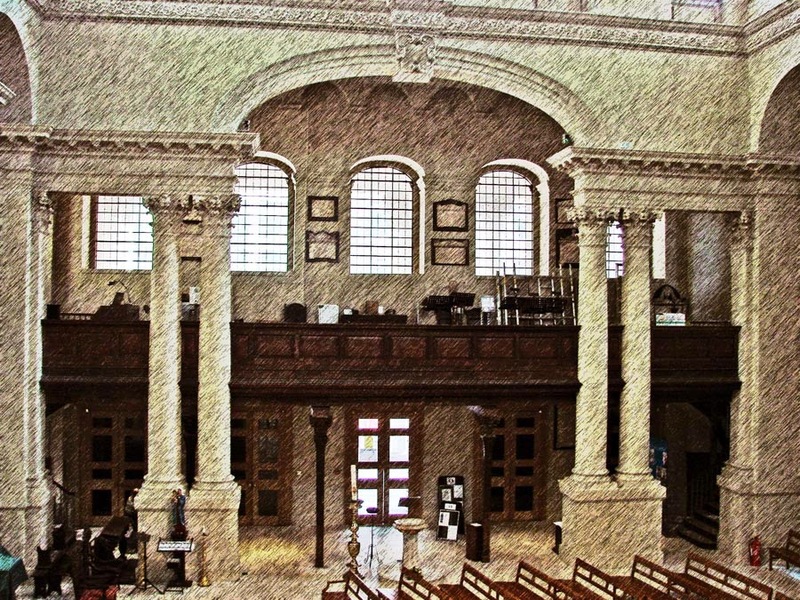 As dissenting protestants the weavers would not have worshipped in Hawksmoor's church which represented the power of the English establishment. 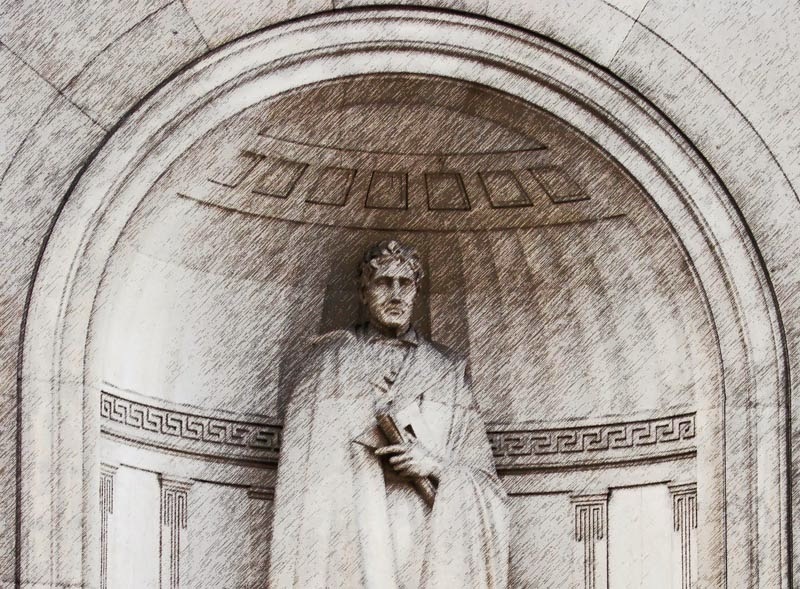 Towards the end of Hawksmoor's life, Irish weavers were also moving into the area motivated more by economic necessity than religious persecution. In victorian times, as hand silk-weaving went into decline, a new wave of Jewish migrants moved in, predominantly tailors. 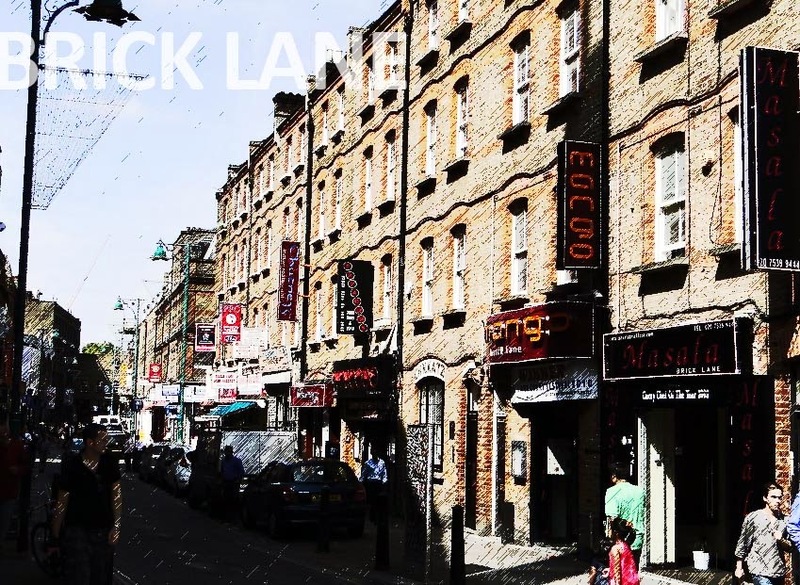 During my life time, Bangladeshi migrants have moved in, and operate a thriving restaurant trade in Brick Lane which defines the western boundary of the block where Christchurch was built. In Hawksmoor's day, much of the land behind brick lane would have been open fields. 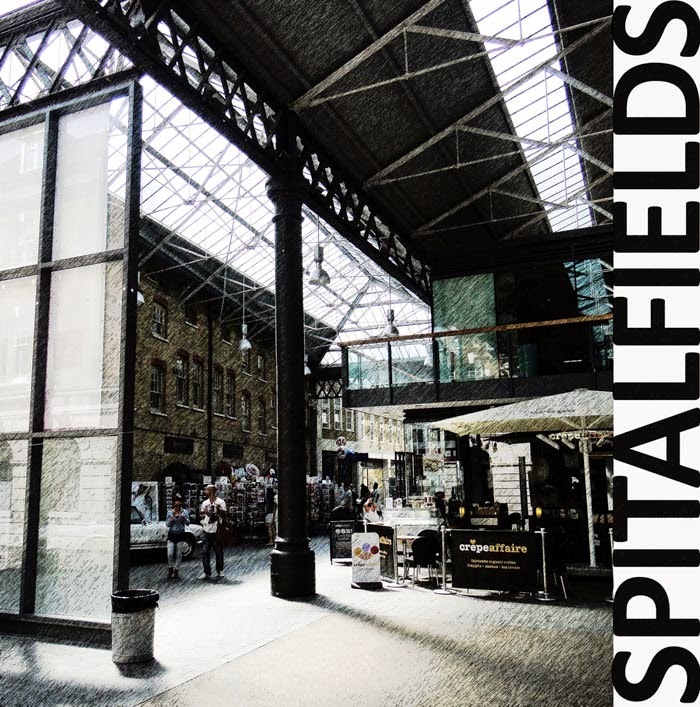 Spittle Field market iself had been open ground outside the developed area of the city just a generation or two earlier. And yet it is just a stone's throw from the financial heart of England. 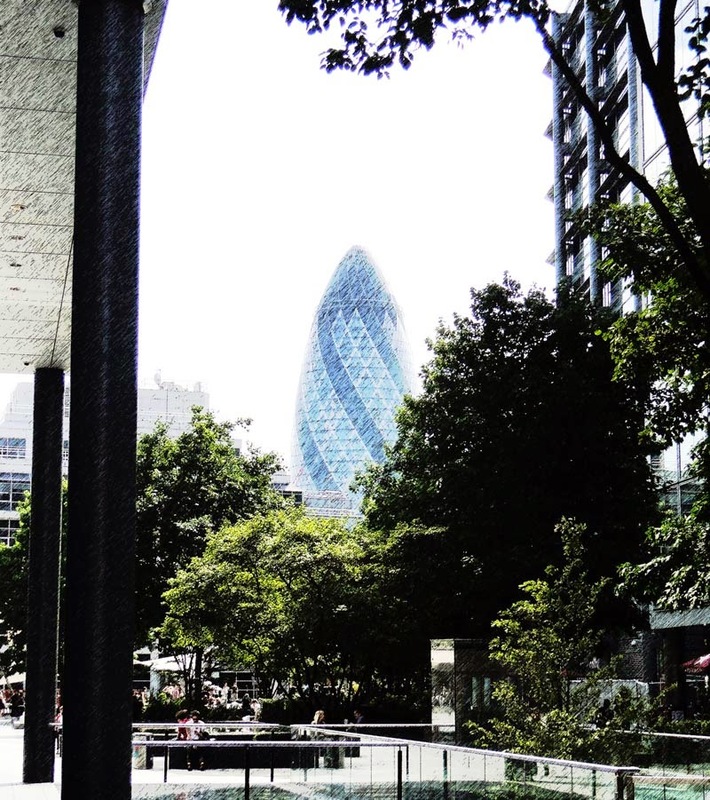 This photo, looking back from the edges of modern spitalfields, shows just how close it is to the city, represented here by the Gherkin. So let's move on towards the old lady of Threadneedle Street. When St Mary Woolnoth was built, the Bank of England was still operating in rented offices. Soon afterwards, a portion of its present site was procured and the first permanent building opened in 1734. 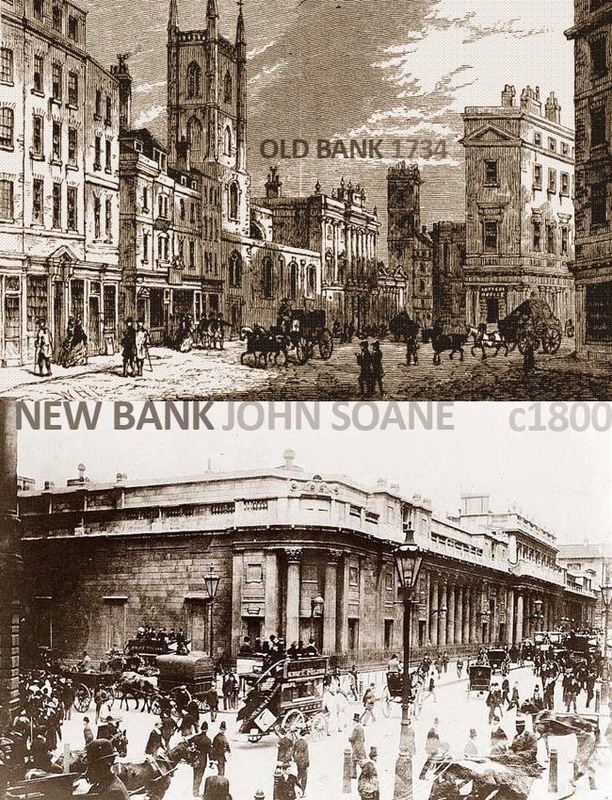 Gradually neighbouring plots were acquired and around the turn of the century Sir John Soane built the enclosing wall which is almost all that remains of his extensive work at the bank between 1788 and 1833. I photographed his statue in a niche of that wall in 2007. Parallels can be drawn between Hawksmoor & Soane: a certain idiosyncracy, a tendency towards stark simplicity, the minimalists of their day. Both rose from relatively humble backgrounds to become consumate professionals. St Mary Woolnoth is a small church squeezed into the angle between converging streets. The overall composition is rigidly cubic, but there are niches on one side that are overtly baroque in their spatial complexity. The Nat West tower was the first skyscraper in the City of London. It was begun while I was a student, and the architect's son was in the year ahead of me at the Barlett School. 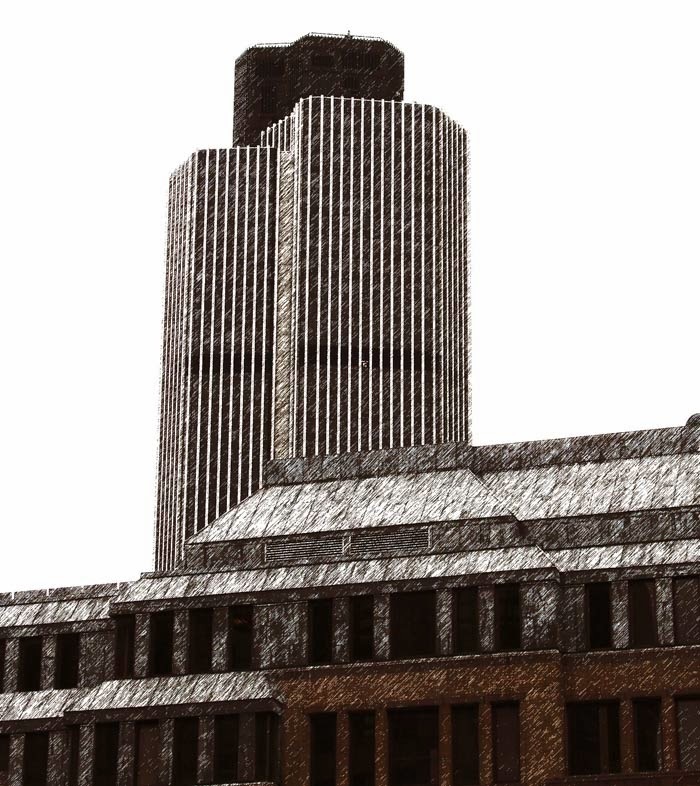 Colonel Seiffert also designed Centre Point which features at the beginning of the first post in this series. It was a symbol of rapacious, profiteering development to us at the time, standing empty as it did at a time when many were homeless or living in slums. The power of money. Seeds sown way back in Hawksmoor's youth when the Bank of England was first established. Extensions of the trade in stocks and bonds that took place in the coffee houses of the narrow streets around St Mary Woolnoth 300 years ago. 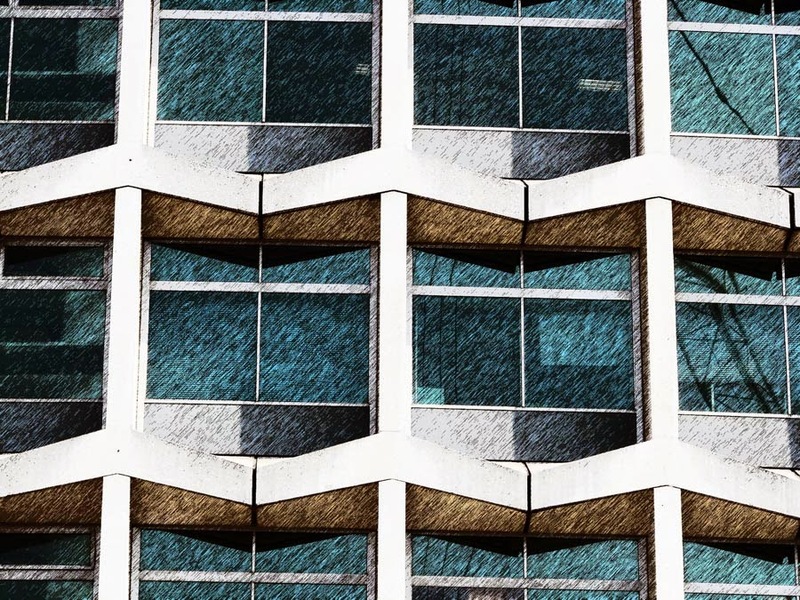 Architecture serves the needs of the ruling class. That would be a strict marxist reading. I am not so strict, but still ... Seiffert's classy facade detailing combined with clever manipulation of building codes delivered ROI to the shareholders, boosted the profits of pension funds. The middle class were not complaining even if their pampered offspring were using the new freedoms of the swinging sixties to make rebellious noises. (That's me folks, only borderline middle class perhaps, but full of youthful idealism all the same) It so happens that Centre Point looks down upon the suburb of Bloomsbury. Back to 1710. Bloomsbury was the rising suburb of the upper middle class. Land didn't belong to pension funds in those days. 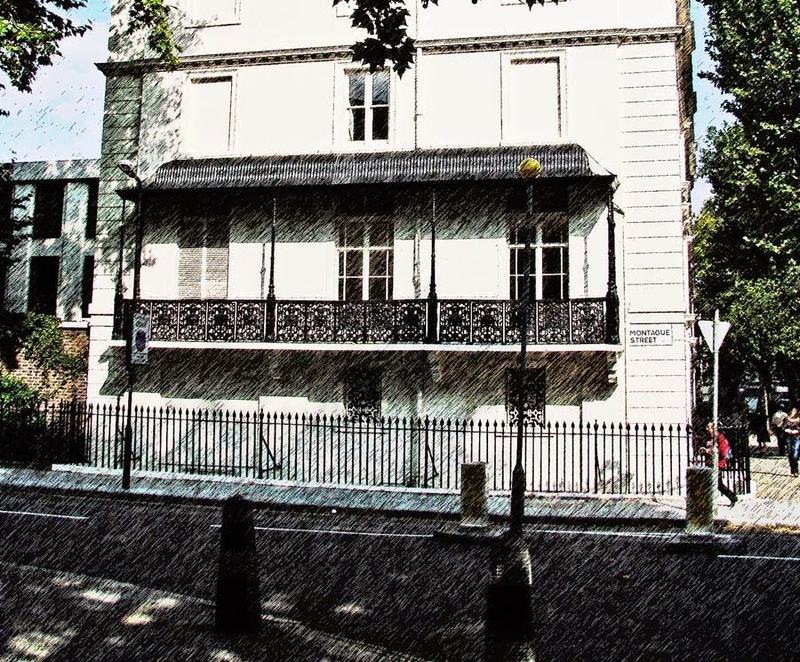 The aristocracy was cashing in: building townhouses on their London estates, eventually demolishing their grand houses and moving further out of town. 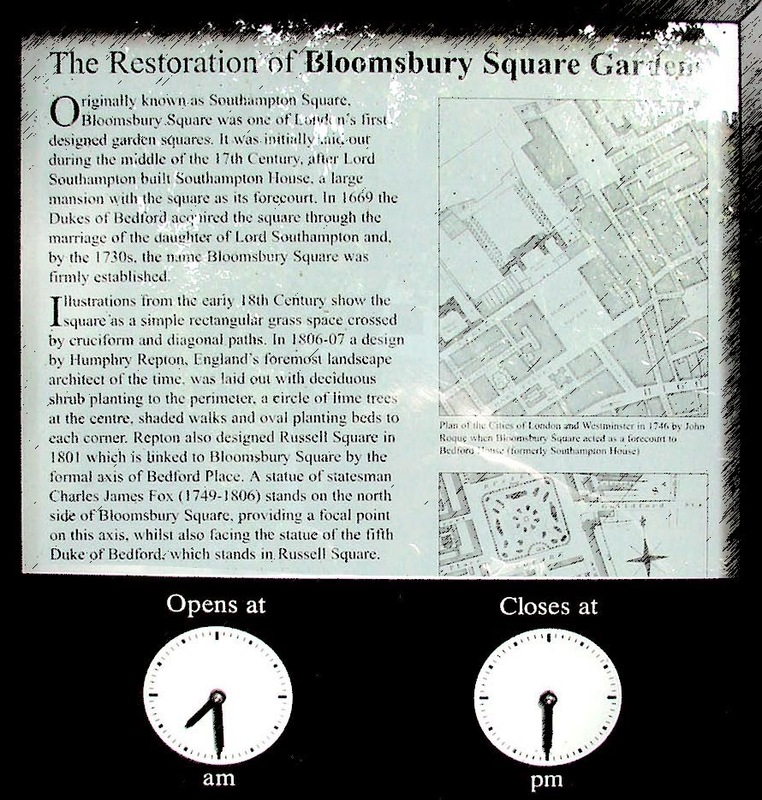 The squares built by the Duke of Bedford in and around Bloomsbury are now famous and symbols of cultured urban life. Generations of professionals and intellectuals built celebrated careers while living here. Lots of blue plaques proclaiming the importance of lives gone by. 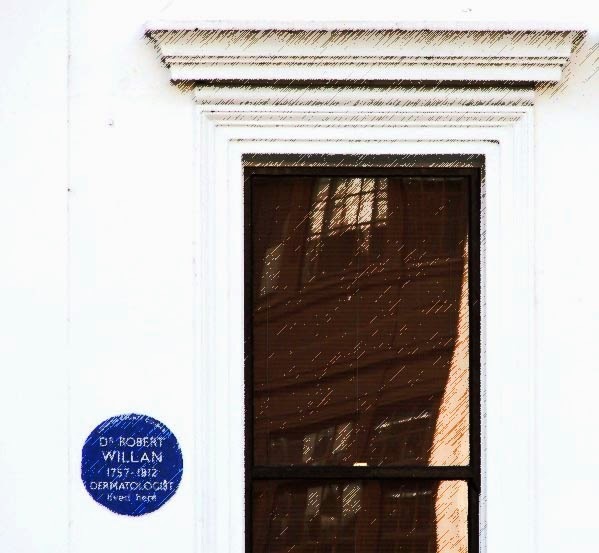 Robert Willan was a Yorkshireman like me, but born 200 years earlier. He was one of the founders of dermatology, describing and classifying skin diseases in a systematic manner. So he represents the rise of professionalism and the scientific method, key elements (along with the joint stock company) in England's sudden surge to dominate the world. There are many traces of Regency style here, that period when John Nash was the favourite architect of Royalty and a thorn in John Soane's side. Equal and opposite perhaps. While Soane was doing serious architectural business in the City, Nash was playfully transforming the West End. But different though they were, both were developing an individual style and pursuing the desire to innovate that still dominates the thinking of the western tradition. I grew up believing that innovation was "all good" and of course I am still motivated by the drive to do "something original", but as I grow older and read more widely, I can't help wondering whether homo sapiens, as a species, isn't innovating itself into oblivion. Innovation and growth are the twin pillars of the global economy, driving each other recklessly forward. But like Alice in Wonderland, we may find that we grow so big that our head hits the ceiling and we can no longer fit through the exit door. Perhaps someone will invent a "drink me" potion to shrink us back to a sustainable size. 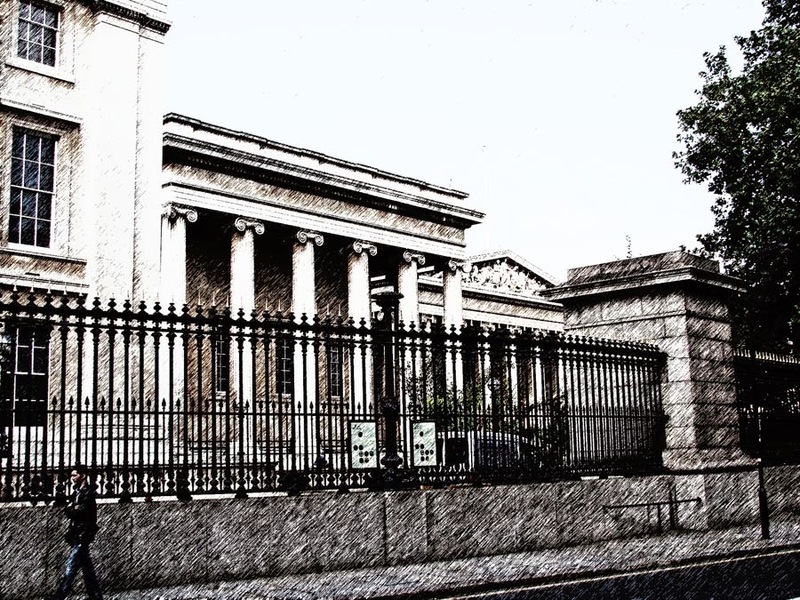 Perhaps the culmination of that trend, the British Museum stands almost next door to Hawksmoor's church. It was designed by Rober Smirke at a time when industrialisation had taken a firm grip and England was fast becoming the dominant power in the world (Napolean having been recently defeated) It provides a suitable end point for this little photographic essay, and for my mini-series on Hawksmoor's six churches. We have taken an urban design perspective, and tried to imagine London as it was when the Bank of London was founded, the calico acts were being passed and the mass production of cotton cloth in and around Manchester was yet to come. Hopefully we can zoom in a little closer and examine the churches from an architectural perspective at some point in the future. But for now, I'd just like to say thankyou all for visiting this blog during 2014. A very happy new year to you all, and I do hope your wishes come true in 2015. HOW BIG IS YOUR TOILET ? So that's where I stand with my urinal collection. A nice row of peas in a pod. The image below shows the original cad versions alongside the natively modeled "improvements". Still 2 or 3 to be tackled here, and strategies to be chosen: vanilla, point world, exploded CAD or CAD import. Plus some cleaning up to be done in other cases. A couple of posts ago I dodged the question of file sizes. Time to address this now. For some freeform shapes I have been modelling in Point World, exporting to SAT, rounding off edges, importing to Vanilla and exploding. Looking at some of the SAT files, it is clear that rounding of sharp edges is an expensive operation, purely in terms of kilobytes. Of course this doesn't necessarily translate into performance issues, or even larger project files. Interestingly enough, 5mb worth of SAT files when collected into a single RFA end up at less than half that size. Don't ask me how. Received wisdom suggests that nesting, constraints and formulae impact performance more than megabytes. This is good news for sanitaryware because although the geometry is often demanding, the shapes are fixed. We might nest the taps and add a couple of visibility parameters but that shouldn't be a worry. One more example of the unpredictability of file sizes. I discovered that the downloaded SAT files for Happy D washbasins explode nicely inside Vanilla Revit. Now the shapes may be fairly simple, but they do include a number of rounded edges. My family has nested taps, visibility controls and 3 items of exploded geometry (1 basin plus 2 pedestals) The whole thing weights in at less than 750 kb. Here is a view of my current Duravit collection. I'm about ready to share this, and to invite people to contribute to the process of completing the collection. Who knows, maybe we can even persuade Duravit to come to the party. I decided to open these families up and take a good look. This is all modeled directly in vanilla. Quite a tour-de-force in some ways. But for my money, there is a certain amount of wasted effort. I wouldn't have bothered with all that hidden detail around the back of the basins for example. Put more simply I am saying "let's model the parts that show in an interior rendering to an acceptable level, but don't get too carried away with unnecessary detail" which abbreviates to KISS. So I simplified the basin considerably, cleaned the geometry up a bit so as to eliminate most of the seams, left out some of the finer detail on the bottle trap and generally felt like I had created a somewhat better family at the end of the day. Just out of interest, this family started at around 560kb, dropped to around 350 after I simplified (not immediately after, but 2 or 3 saves later) Then it went back up to around 470 with the additional symbolics. Lean and mean. By the way, none of the above is intended as a criticism of BIM object or the manufacturer Jika, or whoever modeled the original family. I think they have all made significant contributions to the global BIM effort and I enjoyed building on the platform they provided. I hope they can also accept my suggestions in the positive spirit intended. 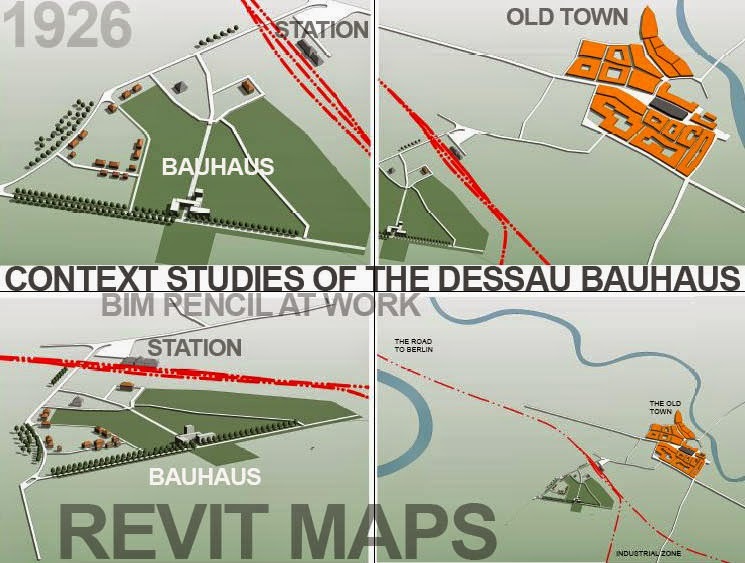 About 9 months ago while working on my Urban Design presentation for RTC chicago I did a study of the Dessau Bauhaus in context. Just a simple massing model of the famous building itself, and lots of schematic mapping out of the surrounding landscape. For some reason my BIM pencil seems to like drawing maps. Who am I to argue ? But what an intense piece of history lurks beneath this landscape. All these avant-garde artists and social dreamers cooking up their recipes while Adolf and his cronies sneak their way into power, perfecting propaganda as an art form along the way. 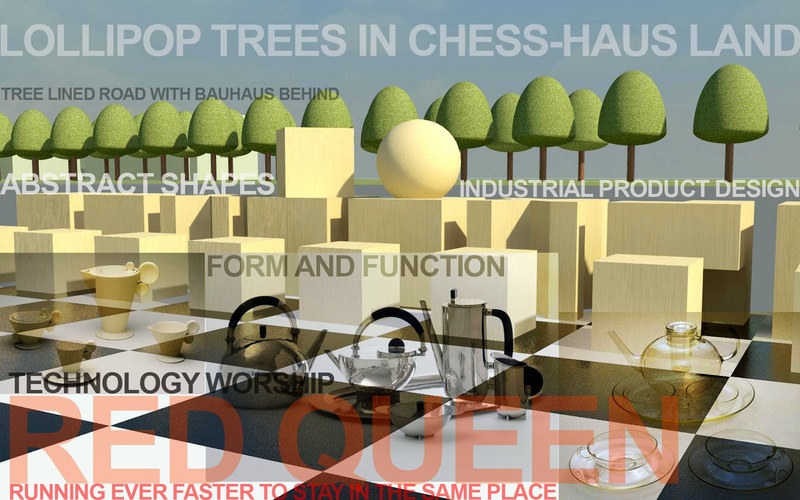 I'm not going to go any further into that right now, but while doing the research I stumbled across a Bauhaus Chess Set which struck me as a wonderfull little exercise in Vanilla parametrics. I love the way this chess set is abstracted down to the simplest of geometric forms. 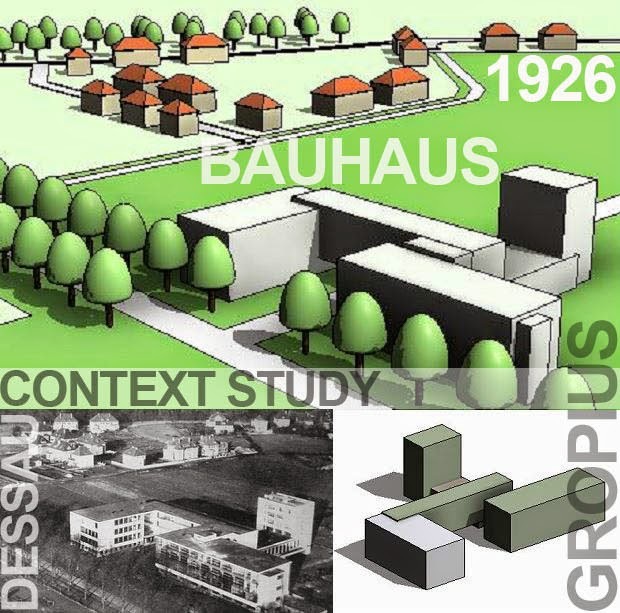 Classic Bauhaus design: break things apart, analyse them, rebuild from first principles. My initial analysis suggested that I needed 3 families to cover all the pieces. The Knight and the Bishop are basically one-offs. They don't have to be, but I wanted to keep things fairly simple. The other 4 pieces are covered by a family with 4 types and some visibility controls. The plan is to make everything fully scalable. Mostly this is done by equalisation constraints and simple formulae linking everything back to a module (usually the width parameter) For example in the Bishop family the thickness of the cross (T) is expressed as Width/3. The knight is a big solid cube with two half-sized void cubes biting away diagonally opposite corners. I guess this is an abstraction of the dog-leg manner in which knights move across the chess board. The multi-purpose chess piece is very simple. Notice the use of root 2 for the diagonally placed crown, and of course the visibility controls that I mentioned before. And that completes the chess pieces. Let's go ahead and place them on a board. Lots of equality constraints here to make our 8x8 grid. We need 4 material parameters: 2 for the board and 2 for the pieces. 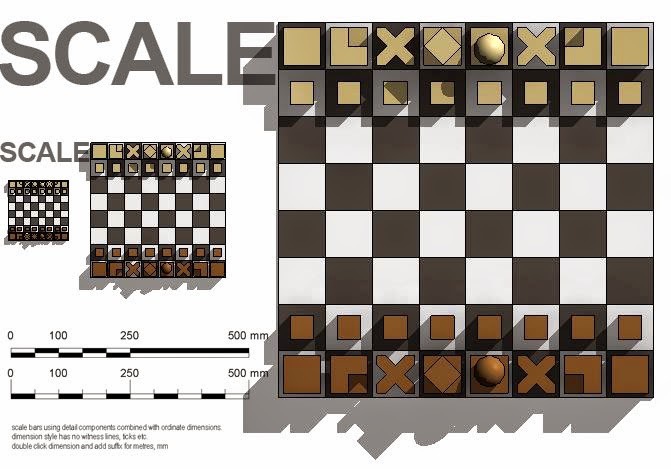 Also 2 parameters will suffice to control all the pieces: one for the pawns, the other for all the rest. Everything is now expressed as a fraction of the board width. So of course the whole thing scales endlessly. Well not quite. We still have Revit's built in aversion for the extremely small and the ridiculously large. It's optimised for buildings, stop complaining. But I do feel able to complain about the lack of intelligent symbols for North Points and Scale Bars. I once came up with a workaround for scale bars that uses ordinate dimensions referencing a detail component. Maybe the logic is that drawing sheets will become obsolete so why waste the energy ? I like drawings (you probably know that) Whether we print them or not is another issue, but orthographic views arranged on sheets are very powerful means of communication. You can't figure out how a building works just by doing a walkabout. 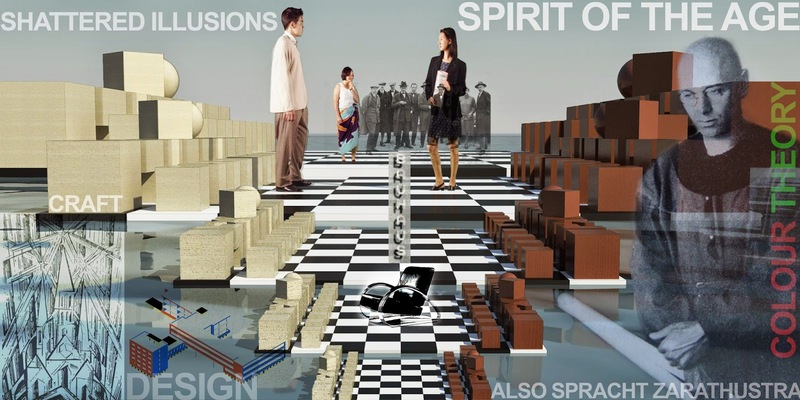 We have to get past this illusion that BIM is about making everything realistic. The tension between realism and abstraction is as old as the hills and will be with us until we drive ourselves extinct. The paradox of visualising reality on 2 dimensional surfaces has informed art for 30 thousand years. Let's not fool ourselves with this nonsense about the end of history. The end of history is armageddon. Trust me, you don't want to go there. So I'm happy to shift in and out of 1d/2d/3d space, exploring ideas, shuffling data, imagining impossible worlds. 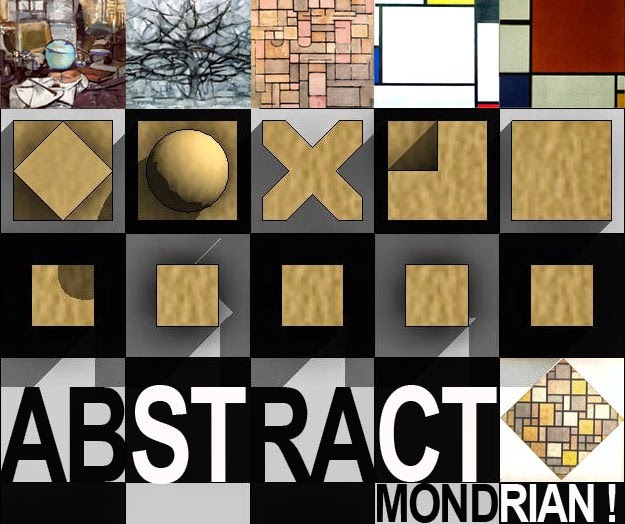 Piet Mondrian took a journey around the time that the Bauhaus was built that has always blown my mind. He started out with still lifes and landscapes that were partially abstracted, a bit like Cezanne. Then he just went on flattening out and abstracting, form-finding in a way ... endless variations until all that remained was shape and colour. But be careful what you wish for. The 1920s and 1930s were stirring times. Everything seemed to be changing. Technology was something to love or hate, worship or despise. Bauhaus masters like Johannes Itten reacted by immersing themselves in meditation and the mystical pull of ancient religions. Dear old Adolf had a different plan in mind. Technical solutions and aesthetic movements are wonderful in their way but hard economic realities and political turbulence have a knack for sweeping all that away overnight. The Bauhaus was closed down. Many creative minds fled Germany. I have experienced hyper-inflation first hand. It changes everything. It drove me into the desert in search of gold. 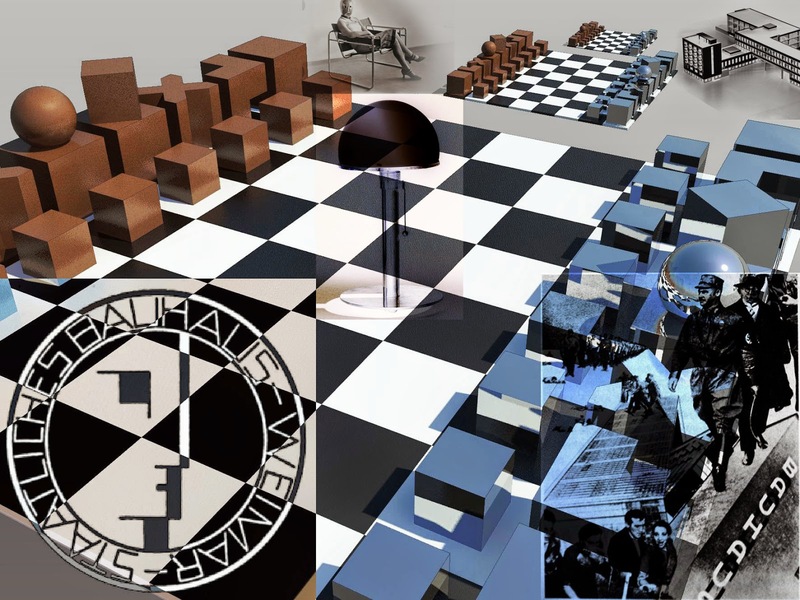 Just a few reflections on History, Art, Politics ... and of course the game of chess.